Fabulous salt waterfront on Town Cove in East Orleans! 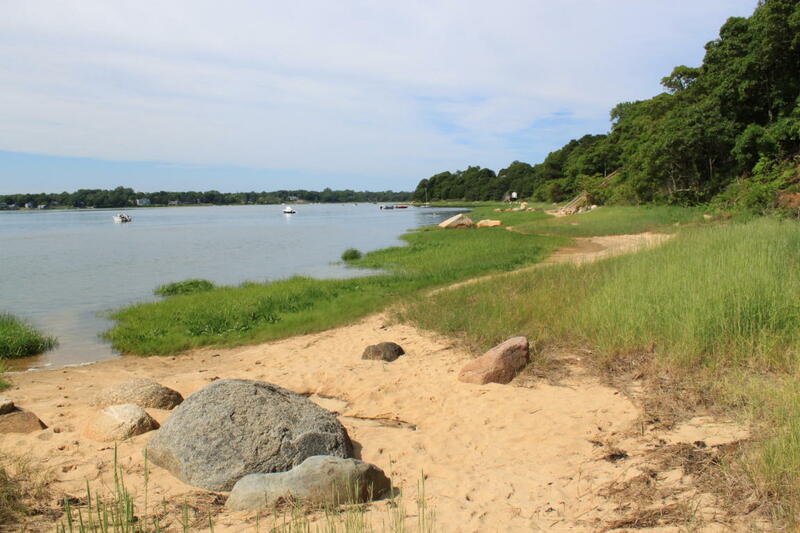 Swim, clam and paddle board from your private, sandy beach with mooring potential! Enjoy glorious water views and breathtaking sunsets from nearly every room of this elegantly appointed and thoughtfully designed residence. This stylish home features beautiful hardwood floors, an impressive chef's kitchen, a spacious and inviting living room with wood burning fireplace, exquisite dining room, and an ensuite 1st floor master, all of which open to an expansive Azek deck. The 2nd level boasts 3 large ensuite bedrooms and a versatile family room, all with dramatic water views and access to an upper deck. Boat, kayak or canoe from this fabulous waterfront to tranquil Nauset harbor, the residents' only ocean beach and the Atlantic beyond. Directions to Property: In East Orleans, east on Tonset Road to left on Salt Works Circle, #15 at end of cul-de-sac.